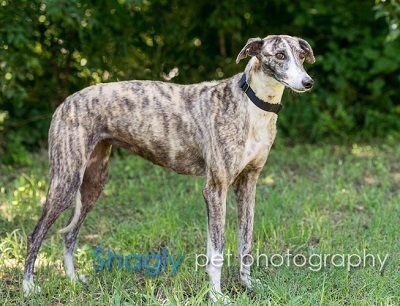 Margo is a brindle female greyhound with white tips and a white stripe down her face. She turned herself in to the Tulia animal shelter as a stray. She's a very petite girl. 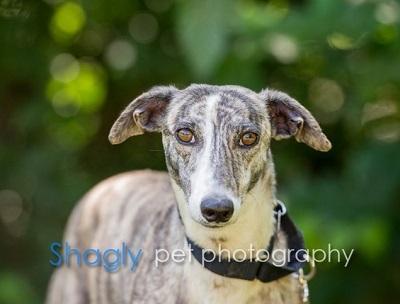 Margo has not yet been tested with cats or other small animals.